The table is crafted out of an acrylic stone composite, making it a steady and an approachable platform; the epitome of MSDS. The Canadian based collective cleverly capture the essence of Nordic design. HALVES’ distinctive rounded edges showcase precision, while the seamless joints help to construct the asymmetric body. The second level shelving allows the table to transform simply by placing it at various angles. This provides the ability to highlight a complex, yet uncluttered profile. 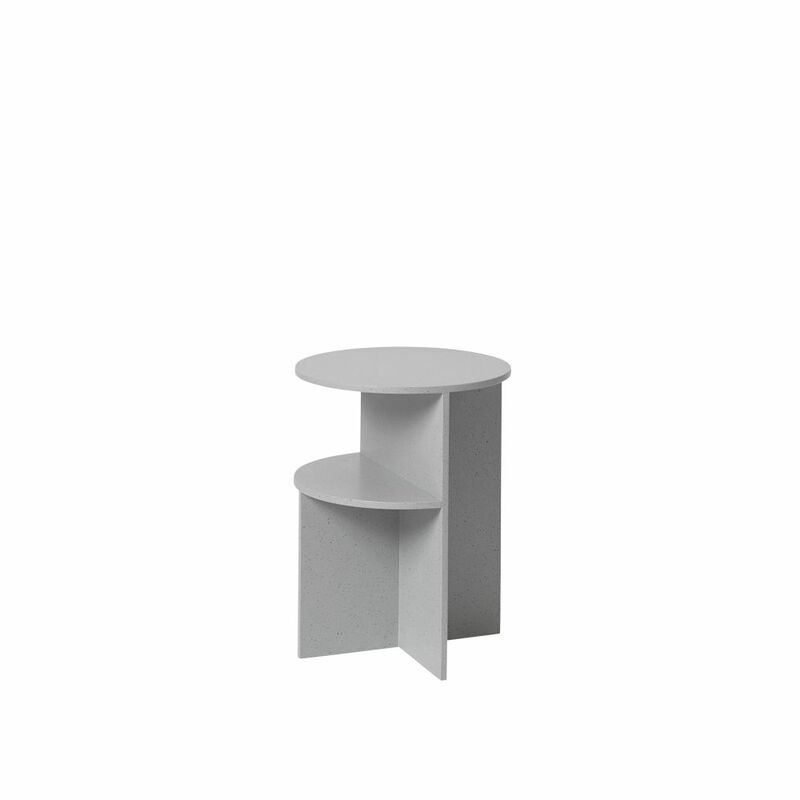 HALVES works perfectly beside a sofa, as a bedside table, or a standalone surface both in a private and public setting. An object balancing between furniture and sculpture, in a robust and unique acrylic stone composite material. Use next a sofa setting, besides your bed, in hallways. The Halves side table's surface is water resistant.